The OMIL range of gripping systems is now available in the UK from Leader Chuck International. 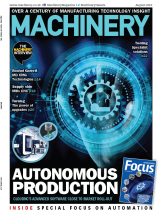 Within the range there are newly developed and enhanced products that are designed to improve efficiency, productivity and accuracy in a number of sectors, including machine tools, assembly machines, transfer machines, gantry-robots, as well as bespoke machining solutions. 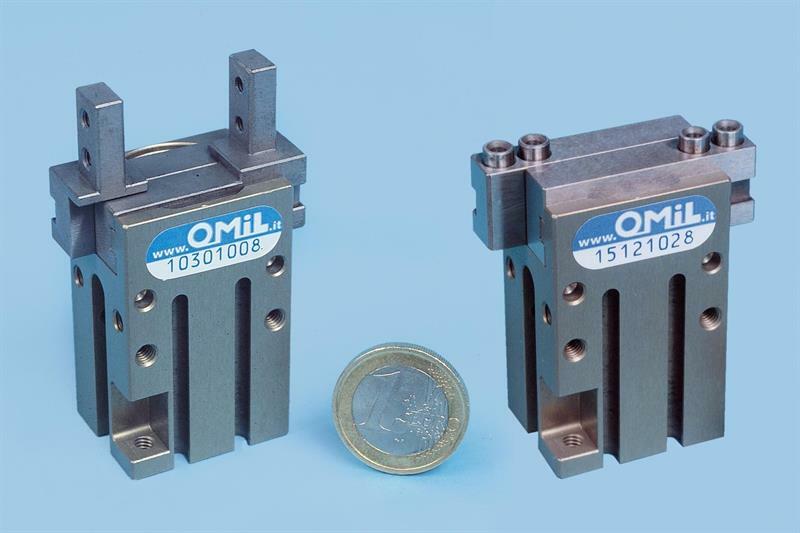 With its headquarters in Turin, Italy and over half a century of experience producing gripping systems, OMIL offers standard products that are robust, reliable and usually available on short lead times. The portfolio includes grippers, linear and rotary actuators, vices, chucks, and bespoke solutions. End effectors for industrial robots can grip parts weighing up to 500 kg and up to 1,000°C for die casting and forging, while applications for grippers used on automated assembly lines include automotive, domestic appliance, pharmaceutical, electronics, food and beverage, and packaging. The range of pneumatic grips offered is as diverse as the industrial applications supported, from two-finger parallel to three- or four-finger self-centring, and two-finger radial. As an example of the level of engineering applied to its products, the OMIL GSO range of two-finger parallel grippers is manufactured to facilitate protection class IP67 for use harsh environments. An oval cylinder is used for higher gripping forces, between 123 N for the smallest unit with 5 mm stroke and 1,640 N for the largest with a stroke of 32 mm. For applications where larger and heavier workpieces require gripping, OMIL has a number of ranges that provide strokes up to 400 mm and gripping forces of 10,000 N at normal workshop pressure of 6 bar. With regard to milling machine applications, a range of chucks for round parts and vices for prismatic components are available, while special machinery applications can encompass punching and forming machines, as well as measurement and inspection systems.